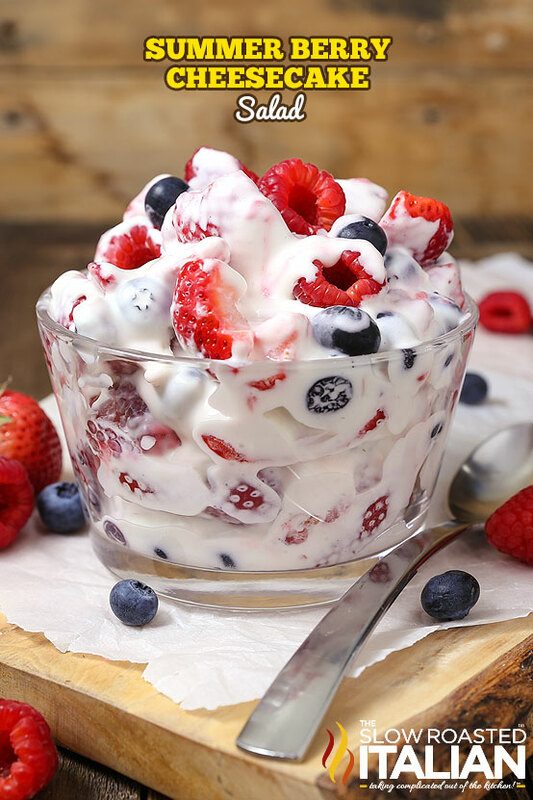 This simple Summer Berry Cheesecake Salad recipe comes together with just 5 ingredients. 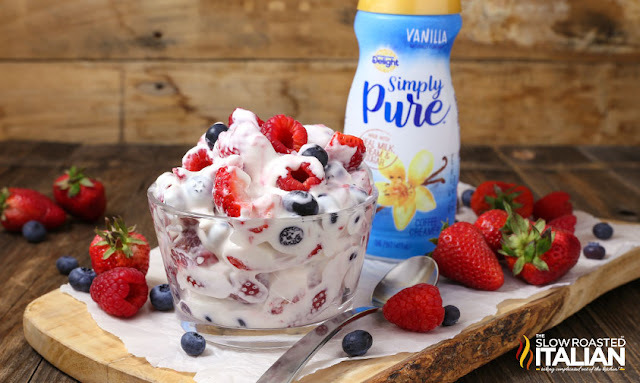 Rich and creamy cheesecake filling is folded into your favorite berries to create the most amazing fruit salad ever! Your family will go nuts over it. As I am sure you remember I love my coffee and always have creamer on hand, so it is super convenient to use in my recipes. It adds cream and sugar all in one. Well, one of my new favorites is this Simply Pure Vanilla Coffee Creamer. 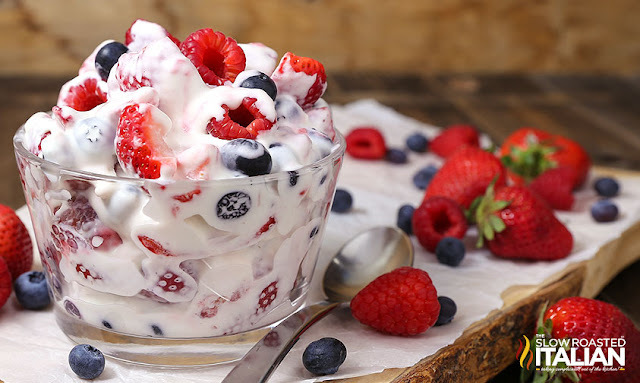 Combine berries in a large bowl. 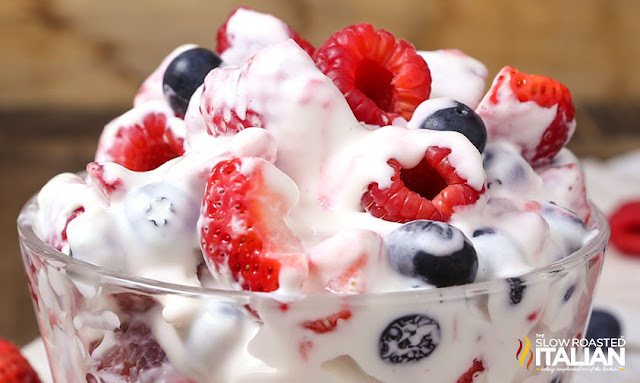 Gently fold in cheesecake mixture until completely combined. Chill until ready to serve or serve immediately.